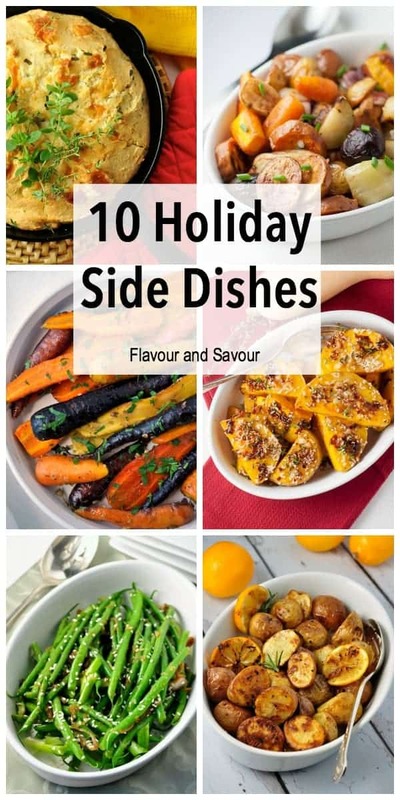 Here’s a round-up of some of the most popular healthy holiday side dishes on Flavour and Savour. I’ve included ten family favourites. I hope you find something to add to your family’s holiday meal! Family gatherings around the dining room table are memory makers. We share hours of laughter, lots of love, and overflowing platters of our favourite holiday dishes. Scrolling through my photo files of holiday dinners shows how my family has grown and changed over the years. One year, babies are in laps, the next year in high chairs, and then in booster seats before finally graduating to the “big chairs.” Sippy cups give way to glasses and then to crystal. Everyone is growing up and changing. Sigh. And so are our favourite holiday side dishes. 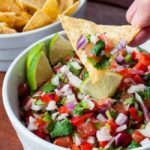 We’ve given up serving certain foods just because they’re traditional and have opted instead to include those that we all enjoy. We gave up sweet potatoes topped with marshmallows years ago and let go of the mashed potatoes loaded with butter and cream more recently. Pumpkin cheesecake made with four packages of cream cheese is absolutely delicious and is a hard one to abandon, but we’ve found that we now appreciate lighter, healthier foods. 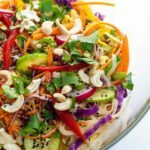 With special diets and food sensitivities, I’ve changed many of our old stand-by side dishes to keep everyone comfortable and happy. 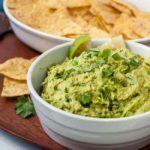 So here’s a round-up of some of the favourite healthy holiday side dishes on Flavour and Savour. 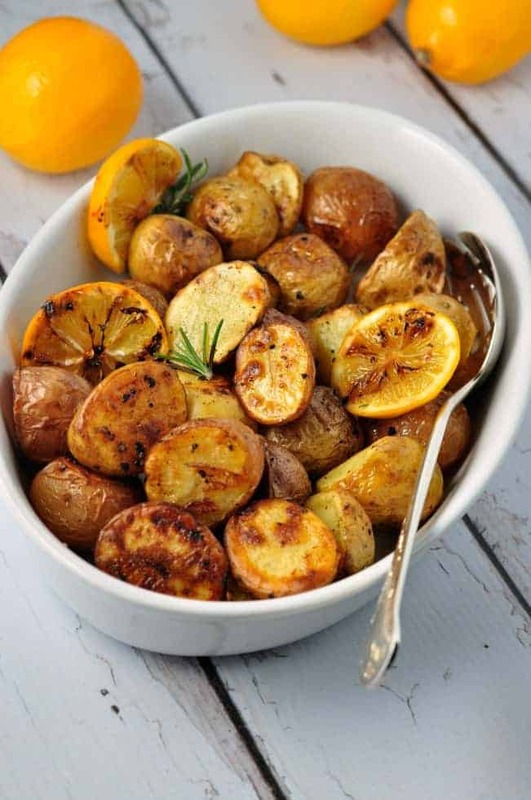 These easy lemon oven-roasted potatoes are crispy on the outside, soft on the inside and have the zesty flavour of fresh lemons. 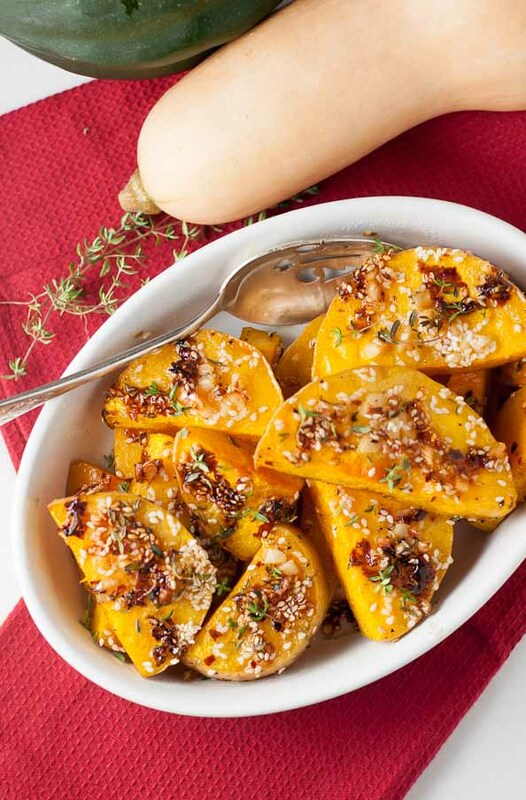 Toss butternut squash with an orange juice glaze richly flavoured with chili, garlic and thyme and roast it in the oven. 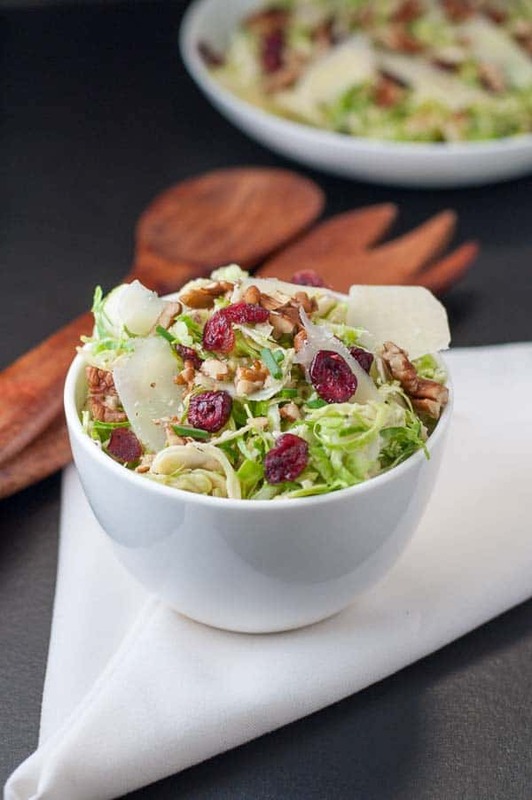 If you’re tired of cooked Brussels sprouts, try this raw Brussels sprout salad instead! 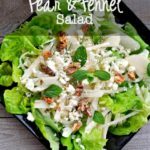 It’s sweetened with apples and cranberries and is an ideal side dish for a fall or winter meal. 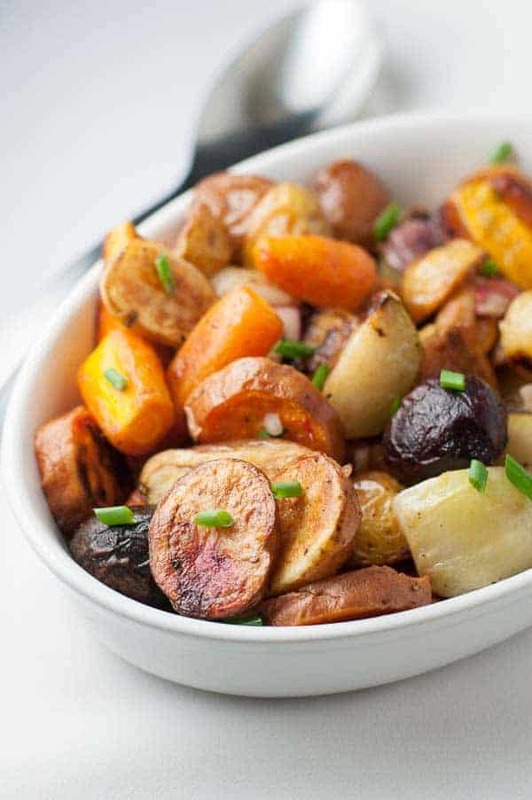 Want the secret to creating crispy, caramelized roasted root vegetables? Follow these 3 steps, then toss them with an apple cider vinaigrette to bring out even more flavour. Add a little spiciness to your holiday meal. 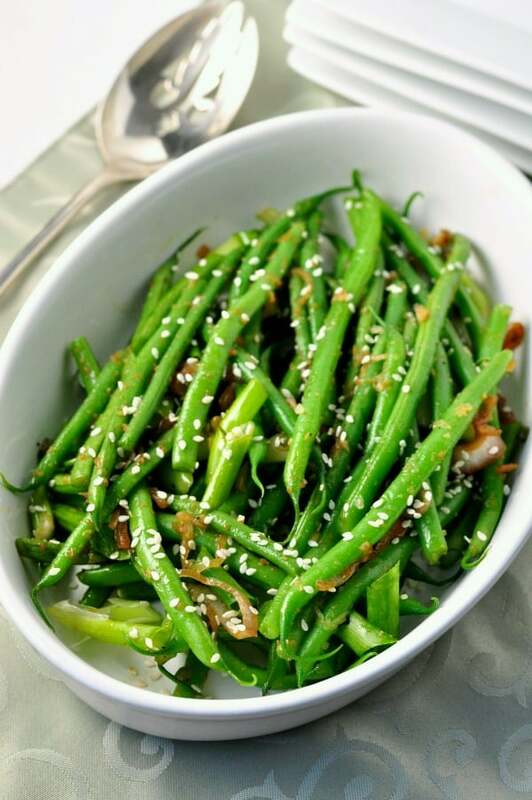 This quick and easy side dish features tender green beans sprinkled with sesame seeds. 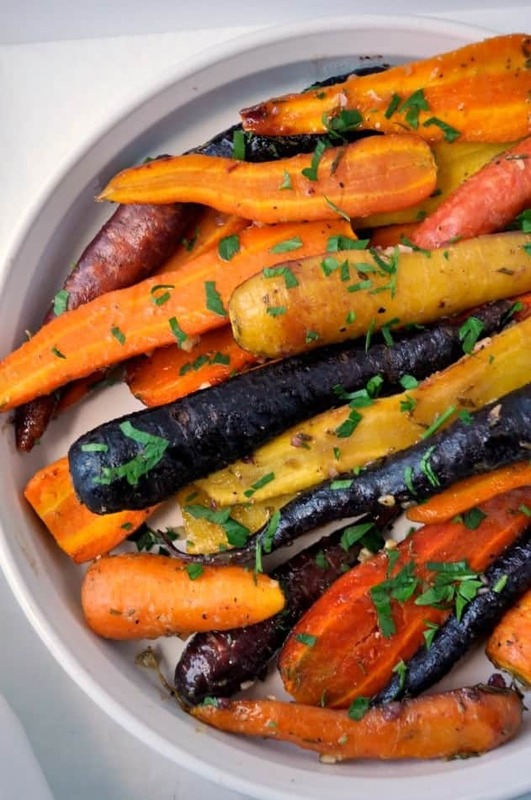 Garden carrots, fresh herbs, a drizzle of honey, a spoonful of Dijon and a little garlic are all you need to make this fabulous holiday side dish. 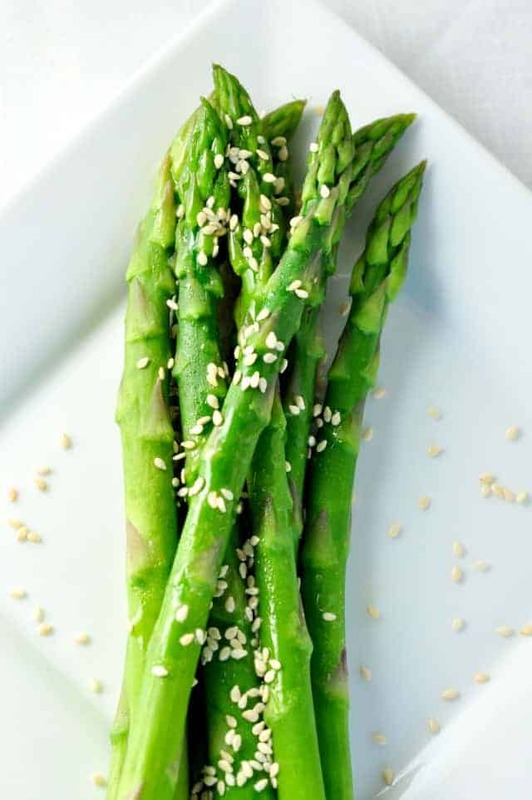 Fresh crisp-tender asparagus sprinkled with sesame seeds will be on your table in 5 minutes! 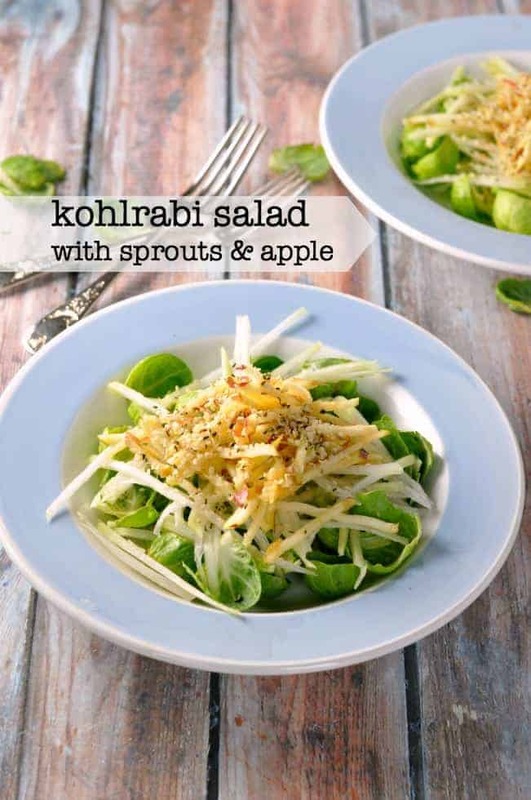 This kohlrabi and apple salad is made with crisp Brussels sprout leaves, crunchy kohlrabi and sweet juicy apple. 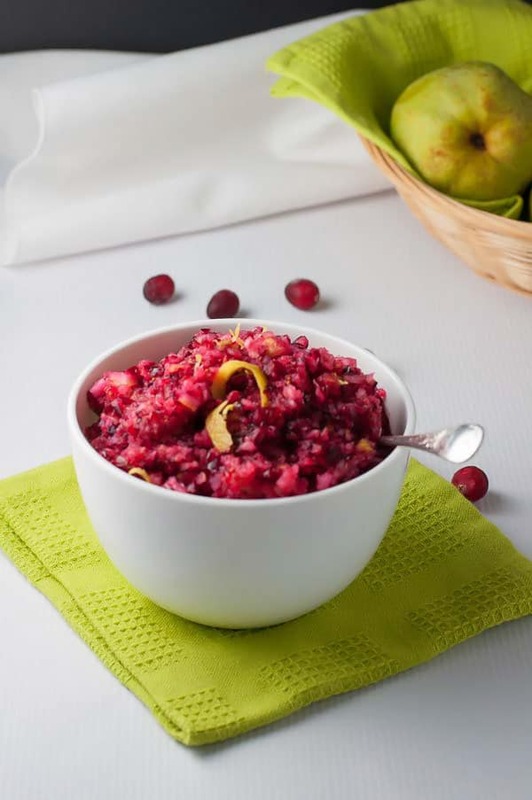 This delicious alternative to traditional cranberry sauce is raw, fresh and has a bright, zesty flavour. It’s become a new family tradition. 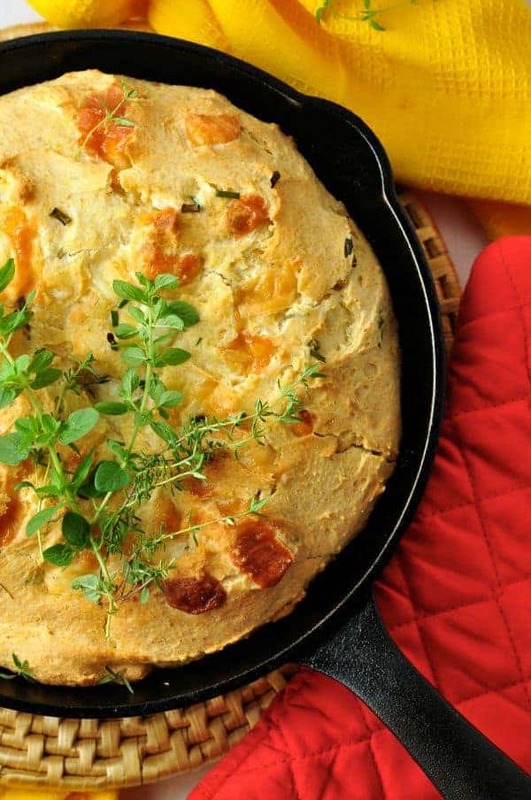 The easiest recipe ever for skillet cornbread. Add your favourite herbs and cheese! Share some healthy food and enjoy the holidays with those you love.